Today I'm excited to share with you one of my favorite naturalistas! I started following Chevanne's blog some time last year, and was amazed by her hair growth so much that I failed to notice she was transitioning then. Well now she's fully natural, and she shares with us her hair journey. Hilow! My name is Chevanne Smith but I go by Yulli Blue on the web. 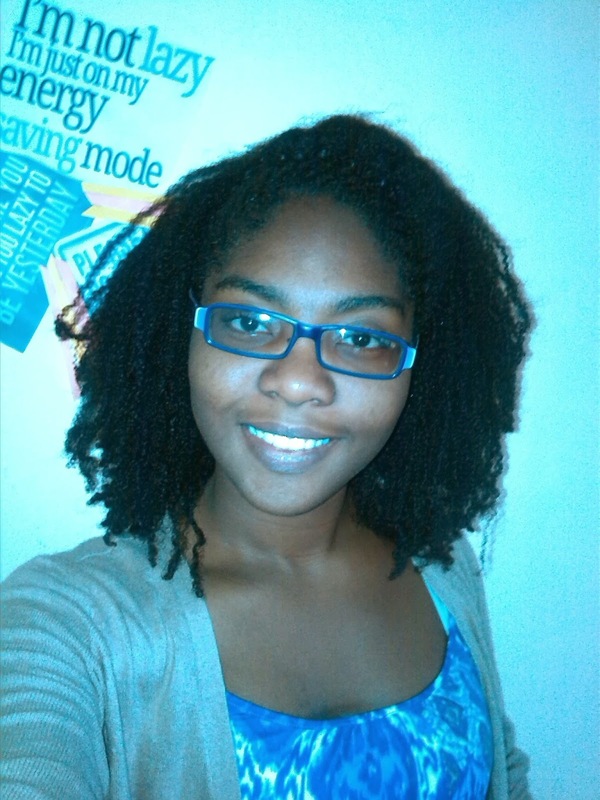 I am a Jamaican, Christian, blogger and student. I've been natural for almost 3 months now. My hair was relaxed in grade five, my mother was always complaining about how hard it was to comb and maintain my hair. The day it was relaxed I was excited; I thought I was going to look like the pretty girls on the Just for Me box. My hair was under-processed but fluffy and huge. I liked it though, it wasn't so much of a pain to comb anymore. After a while my hair started being processed better and I was in between going to the hairdresser to get it done and other times just my mom. In high school I started noticing one side of my head was thinning. I ignored it though. I wasn't until about Grade 10 or 11 that I realized I was going bald in that section. I depressed me so much. I stumbled across hair videos on Youtube and followed ladies like Kiss and Sunshine. 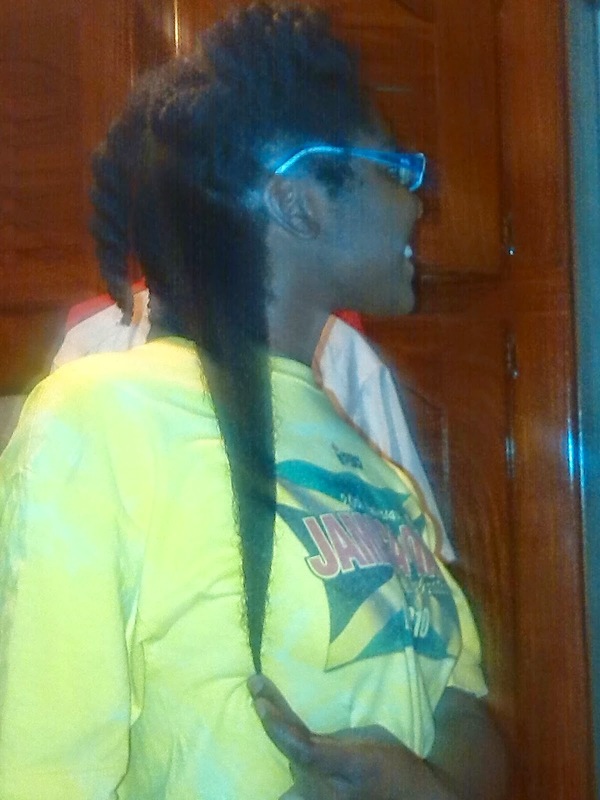 I wasn't knowledge of the whole stretching your relaxer process and jumped right into it. I received horrible shedding and breakage. I did some thorough research and tried to nurse my hair back to health before considering another relaxer. As for my alopecia I used tried so many remedies but soon found that essential oils worked the best for me. Transitioning was never apart of the plan ever, but I happened to start liking my hair texture and I just kept "stretching." I transitioned for 3+ years and did my transition chop on January 2, 2014. I started wearing lot of puffs, twist out, braid out and afros and my ends were suffering. I've done about 4 trims including my chop because of splits and rough ends. So I'm back to protective styling like I was before. I have a love-hate relationship with my hair. I love it but sometimes I wish somebody else could do it. I love oils and shea butter. I really like the Vo5 Balancing Conditioner my tangles just melt with that. I'm back to doing my hair once a month as it's easier. I combine a shampoo and cowash regime. I love updos, twisted hairstyles and when I'm lazy beanies. My biggest struggle was the split ends and ragged ends. I was confused at how I kept doing so many trims yet still had them. 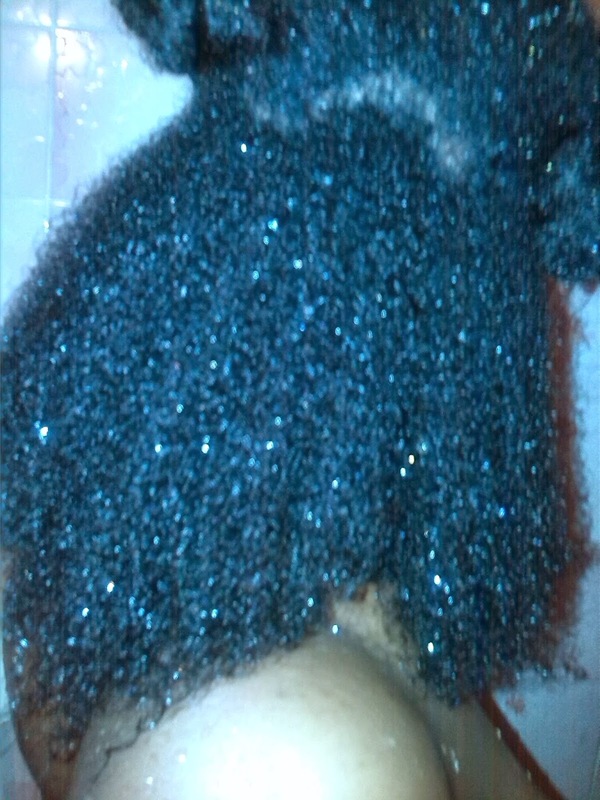 Sometimes detangling is long and a struggle. - Don't stress too much over your hair, it's a process just take it easy. - Focus on the health of your hair; length will come. 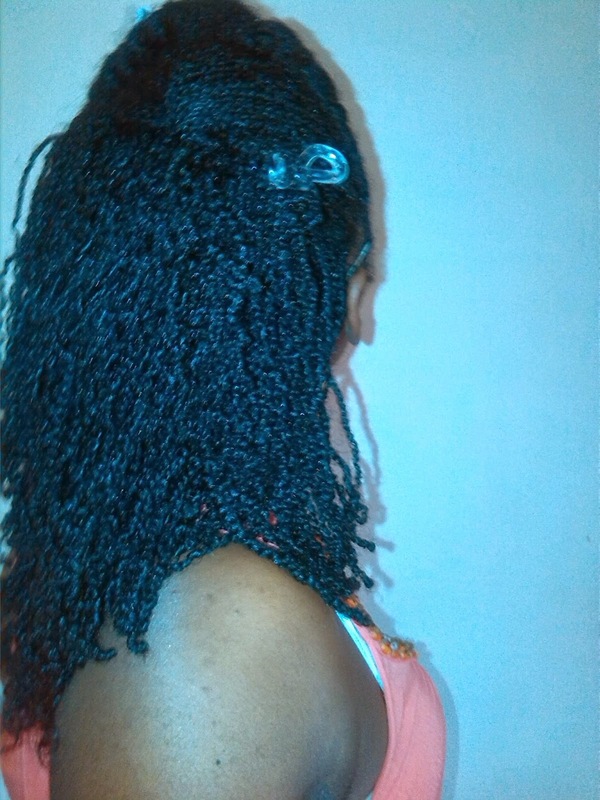 - Do your best to maintain your ends by protective styling, dusting, conditioning or baggying the ends. - Save money by doing homemade treatments sometimes. - Document your hair journey. 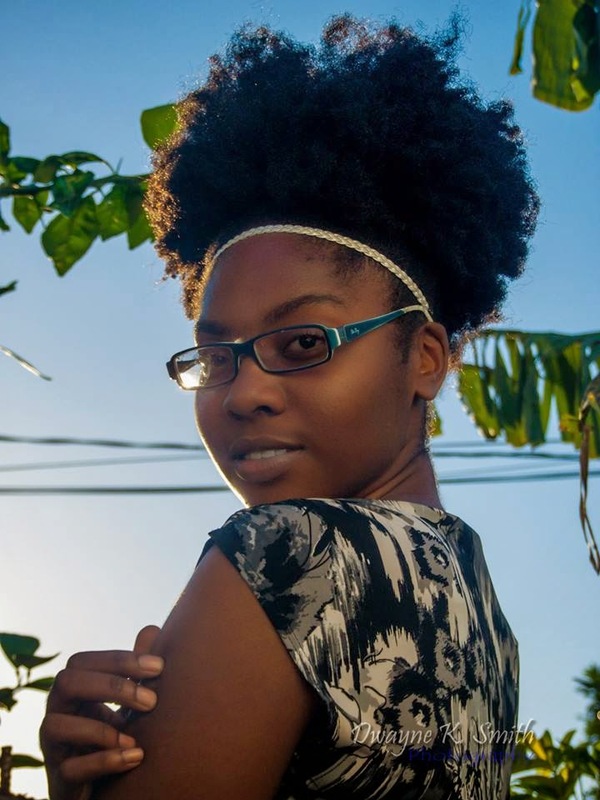 I really do recommend following Chevanne's journey, not only does she have amazing hair tips, she also has pretty great protective styles, and motivational posts!